Welcome to Palm Beach Bengals! Palm Beach Bengals is a small cattery located in South Florida. I have been around Bengal Cats all my life and decided to become a Bengal Cat Breeder. Bengal Kittens are so beautiful and naturally inquisitive. I have always been an animal lover and just fell in love with the Bengal breed. Bengals are now the most popular new breed. A perfect little "living room leopard". All of my Bengal cats and kittens are raised at home with tender loving care underfoot. I want my Bengal kittens to go to good loving homes where they will receive lots of love, attention, and excellent care. The connection between a Bengal kitten and owner is very unique. Palm Beach Bengals #1 goal is breeding for temperament, health, striking beauty and exotic patterns. Its my Destiny to achieve beautiful Bengal Kittens. 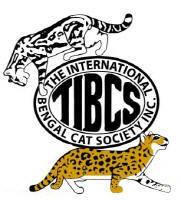 We are a registered cattery with (TICA) The International Cat Association, (TIBCS) The International Bengal Cat Society, and (TIBCC) The International Bengal Cat Connection. Kittens are usually available throughout the year. All of my kittens are checked by a licensed veterinarian and current on vaccines with health certificate. 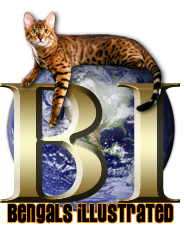 Contact Palm Beach Bengals today for your choice of lovable Bengal kittens for sale!